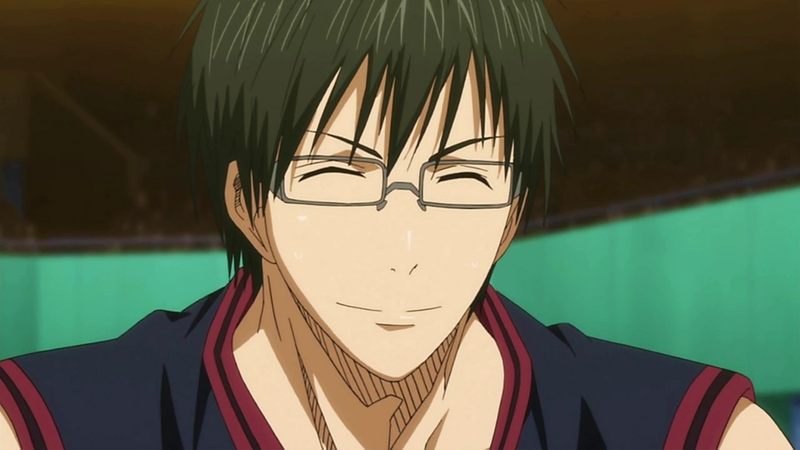 Imayoshi Shoichi is a fictional character from the anime and manga series Kuroko no Basuke. He is a 3rd year of Touou Academy and the captain of the basketball school team. Thus, he is the captain of the ace of the Generation of Miracle Aomine Daiki. Unlike some of his teammates, Imayoshi doesn’t really care about if Aomine attend the practice, as long as he score. Imayoshi is the kind of character I have to get to use to. He is really hard to read, plus he is a sly fox. Not only he is a really good strategist on the basketball court but he his highly intelligent. It took me time before getting use to him, you really have to dig if you want to know him. He might appear nice at first, but don’t let you fool by him. According to Hanamiya, Imayoshi personality his worst than his, when you know Hanamiya is the captain of a team who doesn’t play fair, it say a lot about how Soichi can be. Be careful around him cause he have the habit of do thing what displeases other and if he know you weakness he gonna play with it.